Mohandas K. Gandhi was a legend in his own time, revered, at times reviled, for his ideas. Lauded as an icon of peace, he was nevertheless assassinated. Gandhi was a twenty-year passion project for its director, Sir (later Lord) Richard Attenborough. Sir Dickie, in the long run, may have had too much passion for The Mahatma, as Gandhi is pretty dry, slightly distant but eternally worshipful of its subject, much to everyone's detriment. Starting and ending with Gandhi's assassination in New Delhi on 30 January 1948, we start in South Africa, where newly-minted lawyer Mohandas K. Gandi (Ben Kingsley) shocks the South Africans by having a first-class ticket despite being Indian. This enrages the white passengers and conductor, whom promptly tosses our little brown man out. From this springs Gandhi's fight for equal treatment as subjects of the British Empire, but unlike others, he will use nonviolence. He is willing to die for his cause, he says, but he is not willing to kill. Alongside liberal Christian pastor Charlie Andrews (Ian Charleson), Gandhi fights in his own away against the South African bigotry. Eventually, his stubbornness and arrests, along with the publicity it all gains and with the support of his ashram eventually get some results in South Africa. 41 minutes later, Gandhi returns to his native India, where he joins those working for Home Rule from the British and perhaps an end to the British Raj. There is the Muslim Jinnah (Alyque Padamsee), the generally jovial Sardar Patel (Saeed Jaffrey) who was Gandhi's former law superior, and Pandit Nehru (Roshan Seth), a young Turk in turns wily and sincere. Gandhi travels India with Andrews to find his motherland, and with that, he embarks on his lifelong quest to make India a free and sovereign state. This is met with firm opposition from the British, who will not let their Empire go. Some Indians too are not with Gandhi and his devotion to the poor, particularly Jinnah. He works with the British during the Second World War versus the Congress Party which counts the others as high members who sit the war out. Finally, the British see that they cannot hold India. Jinnah, however, insists that India be partitioned into separate Hindu-majority and Muslim-majority states: India and Pakistan. Gandhi is firmly against such a thing, but his great dream of a peaceful transition with a united Hindu-Muslim India falls to political reality and deep human frailty. The violence of Partition distress Gandhi enough to have another fast in protest, which he has inside a Muslim's home. With only his loyal British devotee Madeline Slade, who has taken the name Gandhiji has given her, Mirabehn (Geraldine James) at his side night and day, eventually the horrors of the violence cease. Some Hindu extremists, however, cannot forgive Gandhi for putting Muslims over his own. With that, his fate is sealed. Gandhi is very respectful, almost reverential to The Mahatma. That, I find, is one of its greatest flaws. Sir Dickie and his screenwriter John Briley are too involved in making Gandhi a saint to figure that he is a man. Briley in particular seems dead-set on making Gandhi into a Christ-like figure. Two scenes in particular show that he was almost cribbing from The Gospels. When Gandhi returns to India, Professor Gokhale (Shreeram Lagoo) tells Gandhi that he can die in peace knowing that he has found someone who will make India free. This is highly reminiscent of The Gospel of Luke's telling of how Simeon, when upon seeing the Infant Christ, told the Lord he could now die in peace, having seen the Deliverer. The second is when a man who comes to Gandhi as he is dying from his fast berates him, then tearfully tells him that he killed a Muslim child in retribution for the death of his own Hindu son. Gandhi tells him he knows a way out of Hell: for this man to take an orphan boy and raise him as his own, but raise him as a Muslim. One almost expects Gandhi to rise and say, "Now go and sin no more". Sir Dickie seems equally dead-set on making Gandhi and Gandhi remote, distant, something and someone lofty to be worshiped but not someone we could know. The best/worst example of this is the Amristar Massacre. This is a brutal and shocking moment where unarmed men, women and children were slaughtered at the hands of Brigadier General Reginald Dyer (Edward Fox). The Amristar Massacre should be a moment of pure horror that should leave one shocked, highly upset and angry. Under Sir Dickie's direction, the whole thing is rendered bloodless figuratively and almost literally. It almost came across so boring because Sir Dickie is a lousy director. The massacre consisted of being physically removed from the action. We see those doing the killing and those being killed from far off, as if we were mere bystanders to this monstrosity. Sometimes one can almost see Sir Dickie shout to the cast of hundreds, "Now, run around in circles and look frightened!". Again and again moments that should fill us with shock, with horror, with sadness and even with joy leave one feeling so removed from things. The violence from Partition, Gandhi's journey to "find" India (a tough task for someone who started out as very much an Anglophile as Gandhi), the negotiations to end the Raj, Gandhi's state funeral. There were few if any moments that were as inspiring as they should or could have been. The closest is when Gandhi in South Africa address his audience and tells them of the quiet strength of nonviolence in response to oppressive laws against the Indian population. Even this, however, had a certain rote manner to it. It all made Gandhi play less like the epic it yearns to be and more like a high-class television miniseries. Nothing wrong with that, but this subject cries out for a better film than Gandhi ended up being. I remember reading a book about the Academy Awards that was highly critical of Gandhi winning Best Picture. Referencing that opening text, he quipped something along the lines of if memory serves correct, "In that case, why bother telling it to begin with?" One can almost hear Attenborough's cuddly voice speaking this, simultaneously apologizing for 'leaving out' a lot and suggesting 'we did the best we could now shut up'. I don't think anyone expected a documentary, just a film that was both educational and entertaining. We got a lot of the former, precious little of the latter. I cannot fault the performances, particularly Kingsley as The Mahatma. 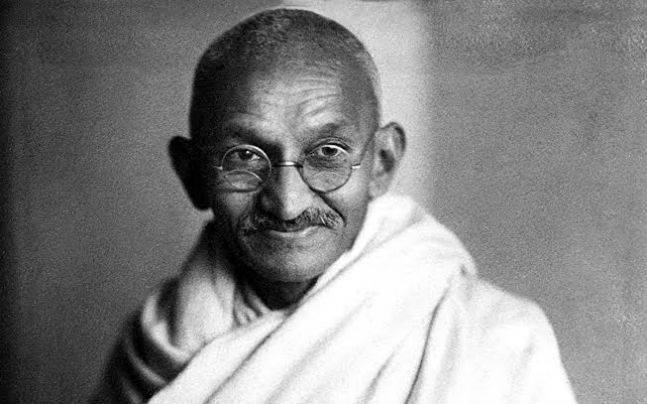 Adopting a very correct accent, his Gandhi did what was expected of him: be very inspirational. He even managed to convey the regret he had about how there was violence despite his efforts to avoid it. Perhaps the worst performance was Padamsee as Jinnah, though not in the way you might think. With his monocle and perpetual sneer Padamsee made Jinnah into an almost cartoonish villain, making his insistence on a separate Muslim-majority state of Pakistan more a snobby reaction against this peasant Gandhi whom he looks down on than a genuine fear that a Hindu-majority state would bring harm to his fellow Muslims. Why Gandhi turned Jinnah into almost a monster I do not know. His actual performance was fine. It was the characterization of Jinnah as this elitist snob who brought about then-East and West Pakistan just to spite Gandhi that seems so wildly irrational. Most everyone else had one of two types of acting. One group was directed to 'look worshipfully at Gandhi'. The other, mostly from cameos of British acting giants like Sir John Gielgud, Sir John Mills or Nigel Hawthorne, was 'look disdainfully at Gandhi'. Gandhi was by no means a terrible film. Far from it. It just was too reverential to its subject to have us see him as anything less than God-like. The Mahatma deserves a better film. In my mind, Gandhi may be the best television miniseries ever to win Best Picture.